Our amber Boston round bottles are made from the highest quality brown glass to provide optimum UV protection for light sensitive contents. 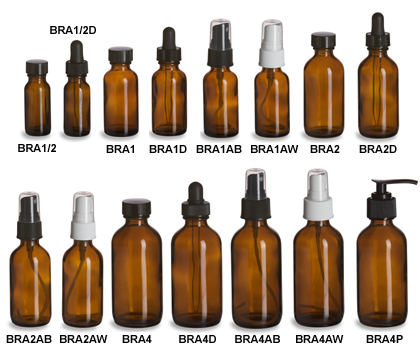 Perfect for essential oils, herbal tinctures, and food products, these bottles are made for commercial and personal use. All prices include phenolic cap, dropper, sprayer or pump.